Hustle Mom Hustle is all about balance; parenting, career and personal growth. Most of my focus has been sharing Mom moments or personal stories. I’m going to shift my focus this week since this seems to be how the majority of my time is spent @ work. My intent is to share advice on professional growth and personal tips that keep me grounded (aka sane). I’ve been working professionally and growing successfully for what seems like my entire life (started my first job was when I was only sixteen at Cragin Bank at Fullerton and Laramie in Chicago). Marketing and managing is my thing. People are my thing. I can easily identify strengths in teammates and develop areas of growth to take us to the next level. Everyone has an area of improvement – that’s progression. Inside and outside of work, I love to see people succeed, come into their own groove and simply be happy, confident and comfortable (even in uncomfortable situations). Everyone has a place in this world and I like to help others identify how they can contribute to the greater good. Stick to the facts (vs speculation) and put feelings aside. We are here to get a job done not make friends. Be solution focused. Ask questions but always come to the table with a proposed solution. Be a critical thinker. Triple check your work. Make sure that your decision is thoughtful. Be able to justify / explain your decision and your actions. Think about the impact. Be emotionally intelligent and self aware. Every action has a reaction so be mindful and know your impact. At work, you are part of a bigger goal and always need to know your contribution is important. Your attitude defines and impact people around you. Always ask for help. Don’t fake it until you make it. That is a waste of time, and time is valuable. Use your resources wisely and be inquisitive. Delegate. You can’t do it alone so teach and trust your team. The goal should be that if you got hit by a bus someone could take over. Be a lobster. Become comfortable being uncomfortable. That means you are growing. When you are uncomfortable, it means it is time to grow and take a risk. There is always going to be someone that we disagree with or you simply don’t like (their moral compass is different). That is a fact and it is okay to agree to disagree. Not liking someone or having a disagreement can not inhibit you from performing to your highest level and managing your responsibilities. Set your feelings aside and do the best job you can do. This is a fill in the blank question, and you can only pick one answer. It’s more important that your team (likes or respects) you. What is your answer? 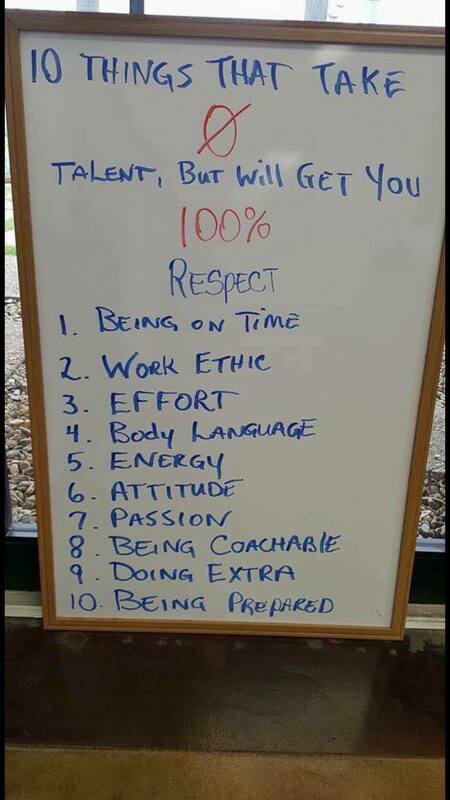 I think that the correct answer is respect; in a work environment. It is more important that your team respects you. If they like you as well that’s awesome. What tips do you have? Looking forward to hearing your advice and expanding on these tips in the future.